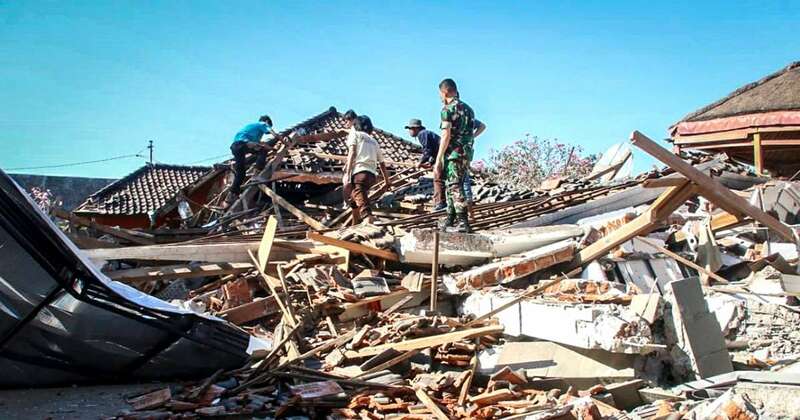 Scientists say the powerful Indonesian earthquake that killed nearly 400 people lifted the island it struck by as much as 25 centimeters (10 inches). [post_ads]In the northwest of the island near the epicenter, the rupturing faultline lifted the earth by a quarter of a meter. In other places it dropped by 5-15 centimeters (2-6 inches). Almost 390,000 people, about 10 percent of Lombok's population, are homeless or displaced after the earthquake, which damaged and destroyed about 68,000 homes. The number of evacuees fluctuates, he said, because not all evacuee points have been counted and some people tend to their gardens and properties during the day and return to the tent camps at night. Some people don't need to evacuate because their homes aren't damaged but have come to refugee centers because they feel traumatized.